REVOLT explored UK music earlier this year in our special What's That Sound? — London, shining a light on some of the biggest hip-hop acts abroad. While many, like Skepta and Stefflon Don, are on the verge of crossing over Stateside, there's a ton of talented artists who may not be on your radar yet. But DJ Tiffany Calver is about to change that. The London-based selecta, music journalist, and radio host shared her Best of British 2016 playlist with Audiomack. Calver began to get international attention through her Radar Radio show on SoundCloud, where she interviewed many artists before the blew up, gaining a reputation as a hip-hop and R&B tastemaker. 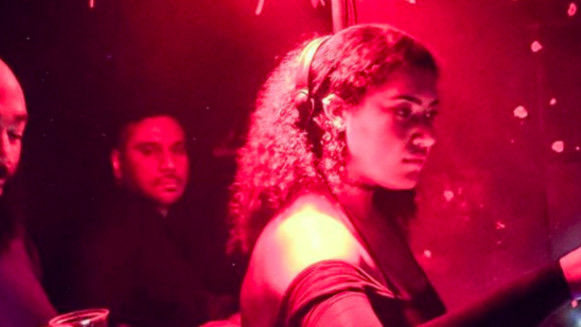 This year, she began a residency at underground outlet NTS Radio, where she compiles UK-focused hourlong mixes . Her 32-track Best of British 2016 set includes grime star Skepta (of course), as well as Mist, Hudson East, Haile, Daniel OG, Jeremih feat. Stefflon Don, and more. We can't all afford a plane ticket, but we can hit play below and catch the vibes.